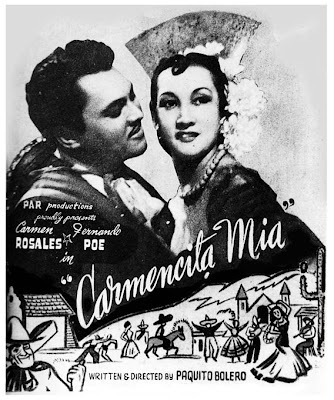 Did you know that in 1939 Carmen Rosales ( March 3, 1917- December 11, 1991) was turned down when she applied for an acting job at LVN Pictures? “No Profile” was the answer. 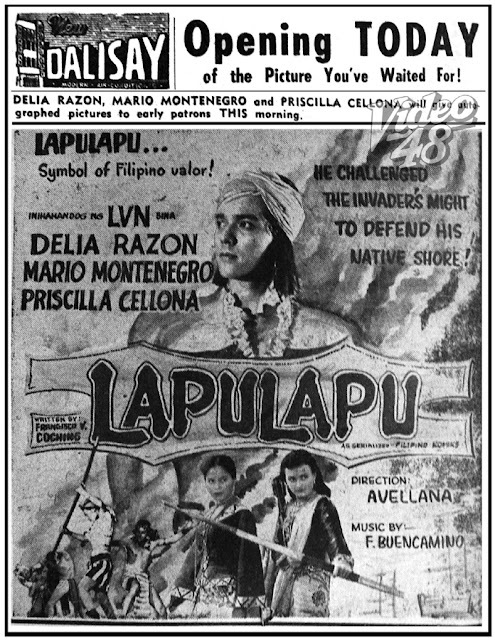 But Excelsior Production took her in and was given a big break in the movie Arimunding-Munding (1939) under Tor Villano direction. She soon became the toast of the local entertainment world. 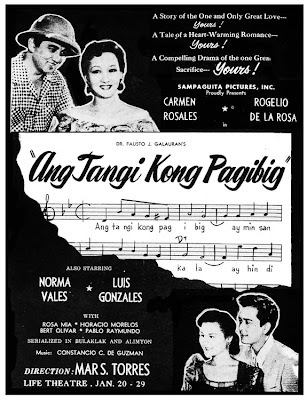 In 1949, LVN Pictures, the film outfit which rejected Rosales for having “No Profile” offered her a staggering Php 40,000 to star in a movie, Kampanang Ginto, a romantic story about a novelist and a singer. 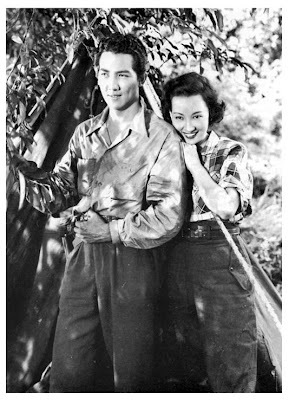 The amount was said to be the highest ever paid to a local female star for a single picture. 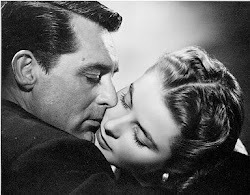 Of course, she accepted the offer. 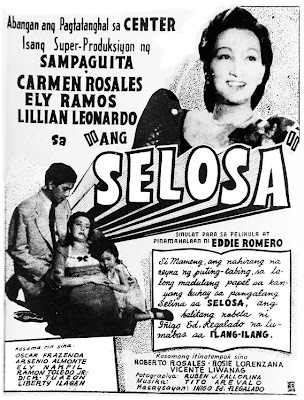 Rosales was already a big star in the pre-war era but her career further blossomed during the post-war period, from 1946 to 1949 where great majority of her film successes were made --- Guerilyera (1946), Kaaway ng Bayan (1946), Si, Si Señorita (1947), Mameng, Iniibig Kita (1947), Hindi Kita Malimot (1948), Simpatika (1949), Kampanang Ginto (1949), Kaaway ng Diyos (1949), Batalyon XIII (1949), among others. 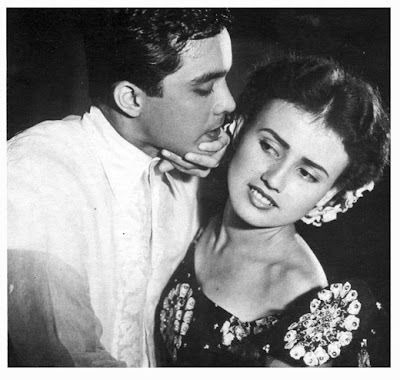 Her screen tandem with then matinee idol Rogelio de la Rosa, is considered one of the greatest ‘love teams’ in the history of Philippine movies. 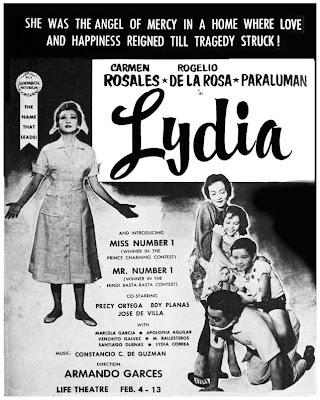 They did more than a dozen movies starting with Takipsilim in 1939 to Lydia in 1956. They were best remembered in the 1954 movie, Maalaala Mo Kaya, which broke all box-office records that time. 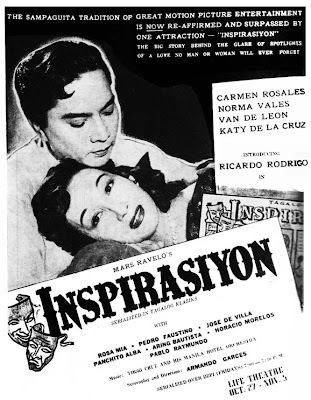 She won her first and only acting trophy, the 1953 Famas Best Actress for the movie, Inspirasiyon. 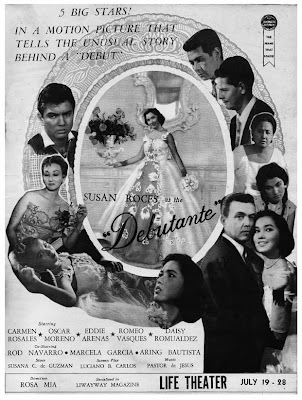 Rosales’ star started to fade in the late 50s until her retirement in mid 60s when younger stars, like Susan Roces and Amalia Fuentes, started to rise. 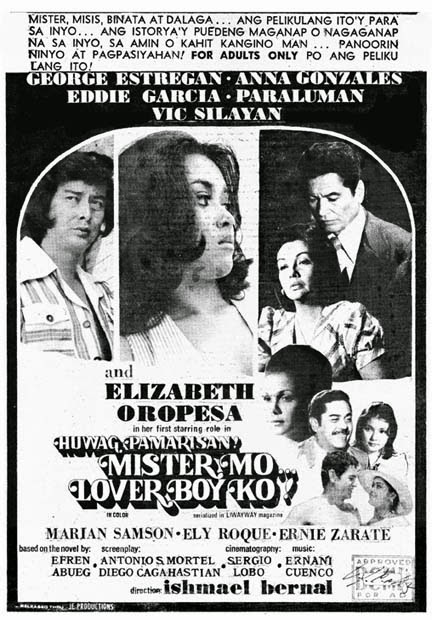 However, her name was still on top of the billing. 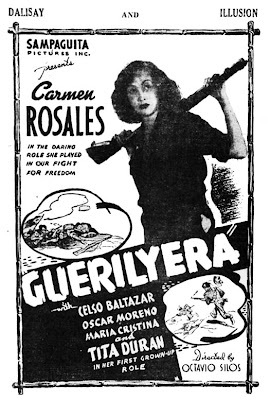 A movie, titled Guerilyera was made in 1946. 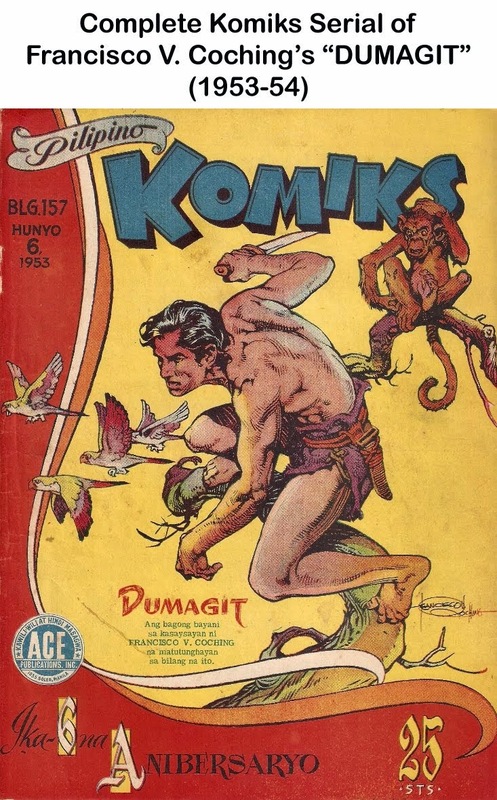 Francisco V. Coching's Hagibis, which was created in 1947, was one of the longest running komiks serial in Philippine comics history. Inspired by Kulafu of Francisco Reyes and Tarzan of Edgar Rice Burroughs, Hagibis ran for 15 years in Liwayway magazine. 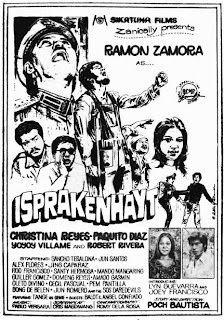 It was followed by sequels: Anak ni Hagibis and Si Gat Sibasib. 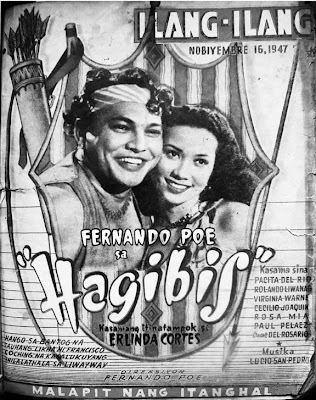 Hagibis proved to be so popular that it was made and adapted into a film with Fernando Poe, Sr, in the title role. 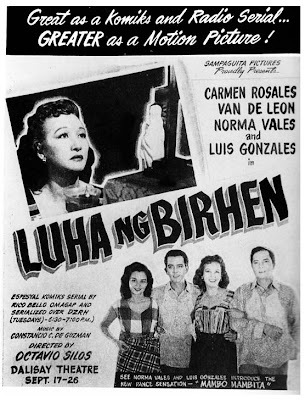 Directed by Fernando Poe, Sr.
Lucy May Gritz was a chubby teenager with pretty German-Spanish mestiza features when she went to the Sampaguita studios in the late 40s to seek out her favorite movie stars. 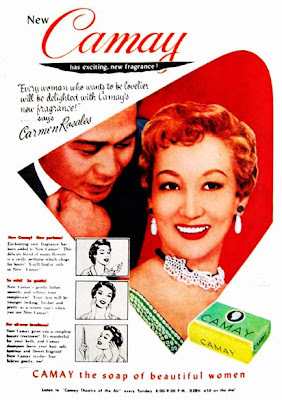 There someone spotted her and was impressed enough with her youthful charm to give her a screen test. A few assignments as an extra later, she was borrowed from Sampaguita by one of the Silos brothers to appear in a Mila Del Sol-Teddy Benavidez picture called Malaya. 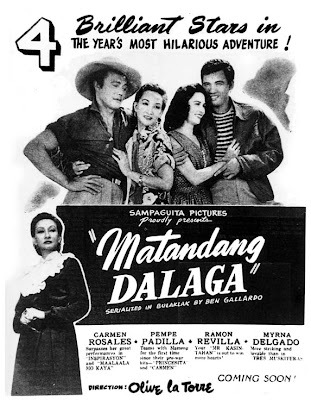 When Doña Sisang saw the rushes of the film, she was very excited. 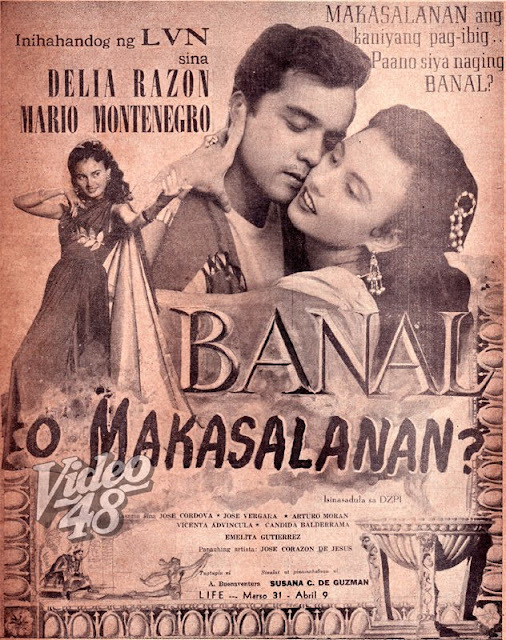 She has caught a glimpse of the young mestiza and was greatly interested in her. 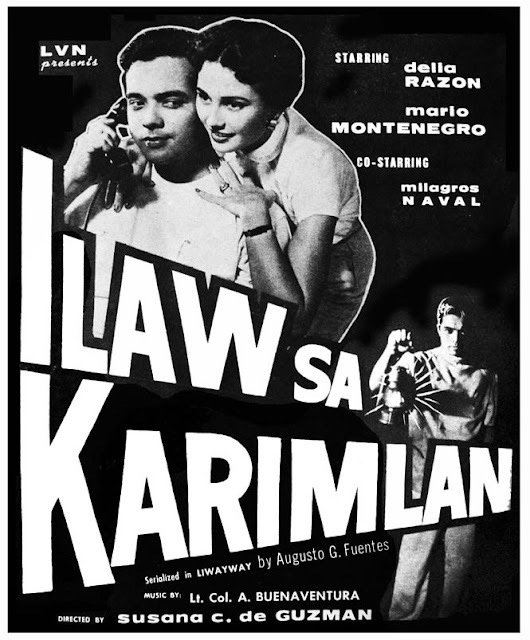 “Hanapin nga yan,” she ordered. 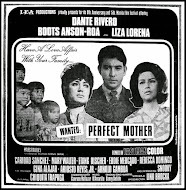 The girl was located and presented to the Old Lady. 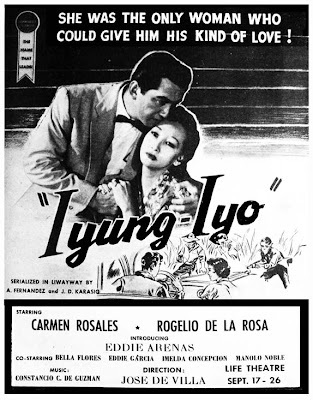 Reluctant at first because she wanted to be faithful to Sampaguita, Lucy May later changed her mind and signed an LVN contract. 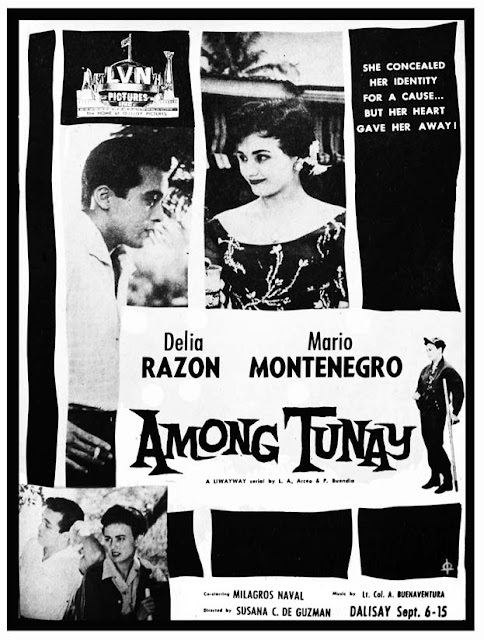 Under the terms of the contract, she was to appear in three films for which she would be paid php300 per picture; then three more for each of which she would received php500. 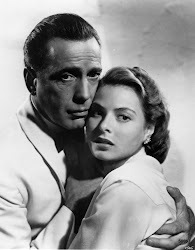 She did not finish that contract. Within a year after her discovery, she became leading lady to Rogelio de la Rosa in the film Prinsipe Amante. 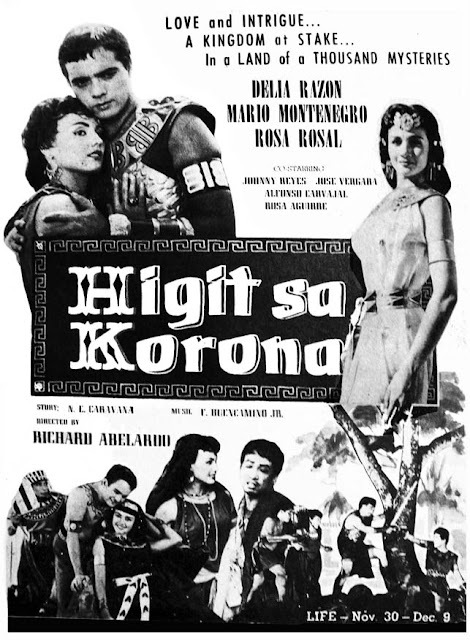 “I got php3,000,” she recalls. No matter. 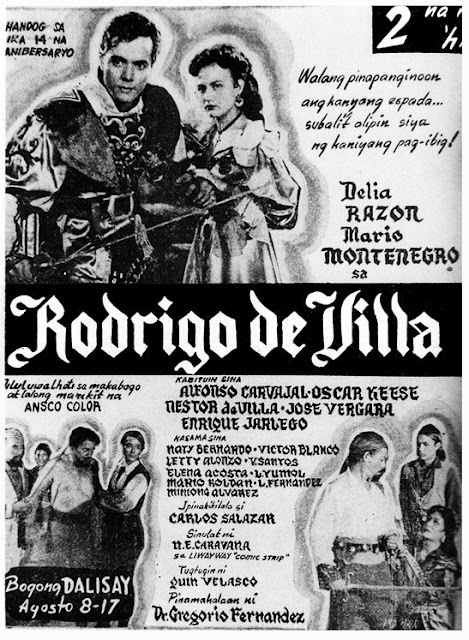 Three thousand pesos in 1950 was a lot of money to a young girl. 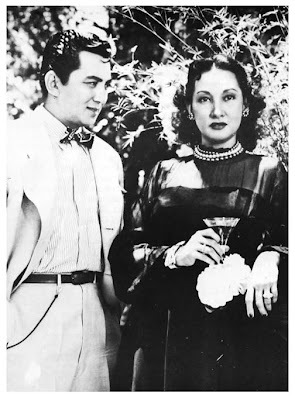 Doña Sisang had already decided that her new discovery couldn’t possibly keep her name: it sounded too foreign, and besides, was difficult to pronounce. 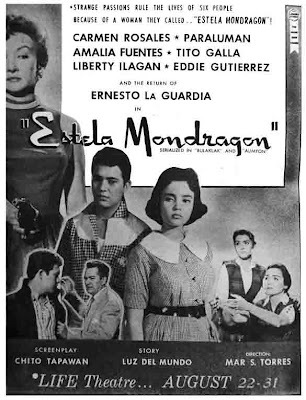 Why not a Spanish-sounding name, wondered the Old Lady. 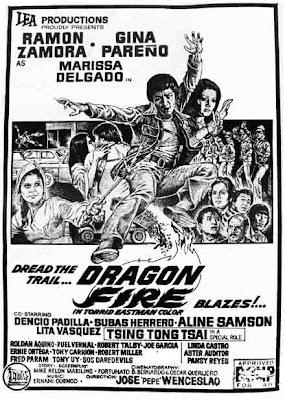 The girl had appeared in one film as a character named Delia Razon. 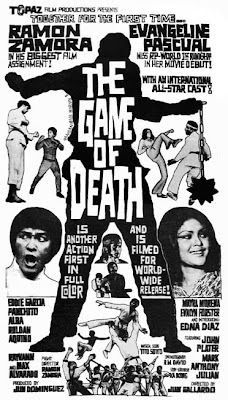 Doña Sisang thought that was a lovely name--- and very apt. 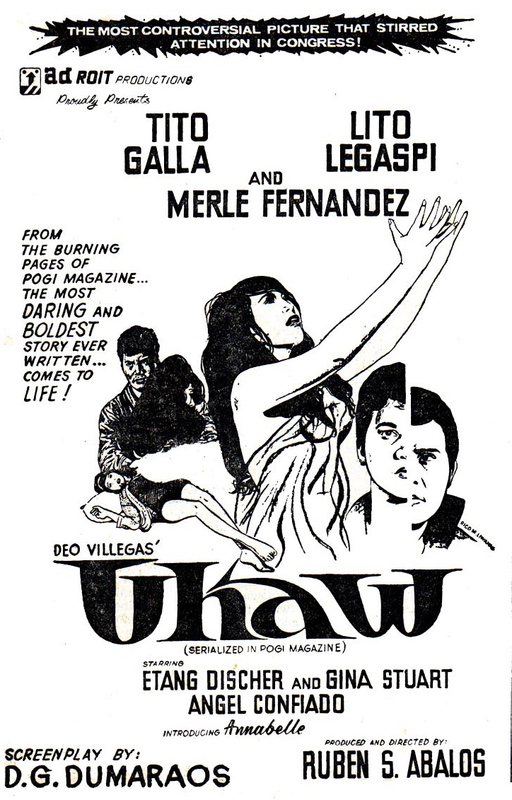 At about the time Delia Razon got launched on a movie career, a young man from Pagsanjan, Laguna, was trying to get a job as an artist in the set making department of LVN. 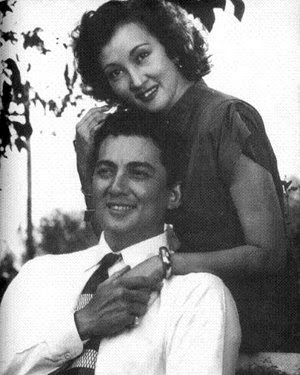 His name was Roger Colin Macalalag and he had dark good looks and remarkable profile. He had come to Manila after the Liberation to look for a job and at the same time to enroll in the fine arts course at the University of the Philippines. 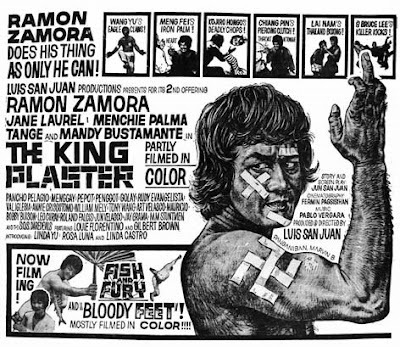 His first job was a commercial painter; the second, he hoped, would be an LVN artist. 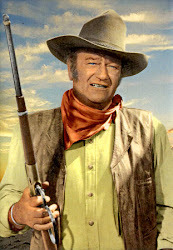 He was taken in as a movie extra instead. 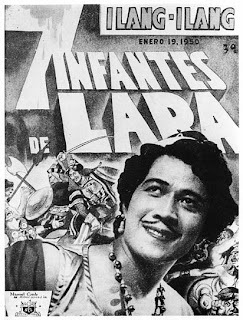 He would have remained an extra and a stuntman had not Manuel Conde, then already an independent producer, cast him as one of the swashbuckling brothers in Siete Infantes de Lara (1950). 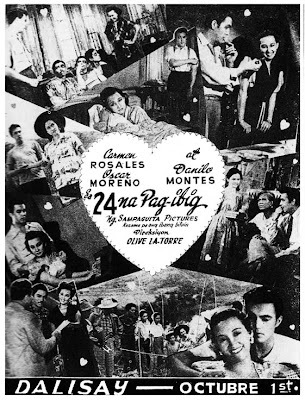 Doña Sisang was viewing the rushes with Conde in the LVN projection room when, so an account of the incident by movie columnist Jose A. Quirino goes, she asked Conde, “Who is that dusky and handsome Infante?” Told the young man’s name, the Old Lady is said to have asked, “Why did I not hear of him before? 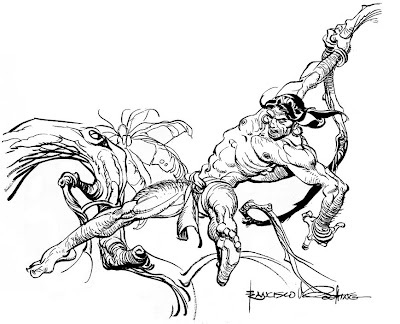 That fellow is star material. 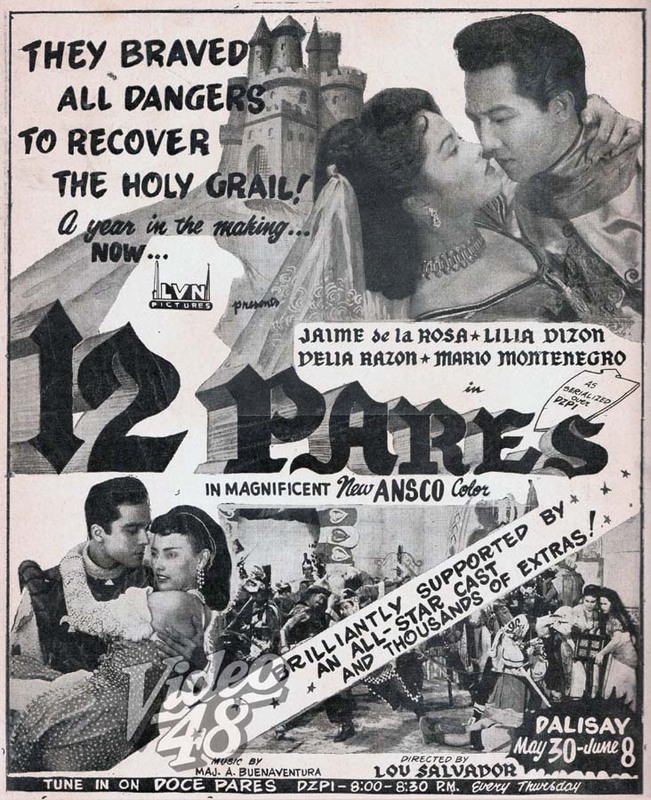 What is happening to our talent scouts?” She promptly ordered that Macalalag be given choice roles. 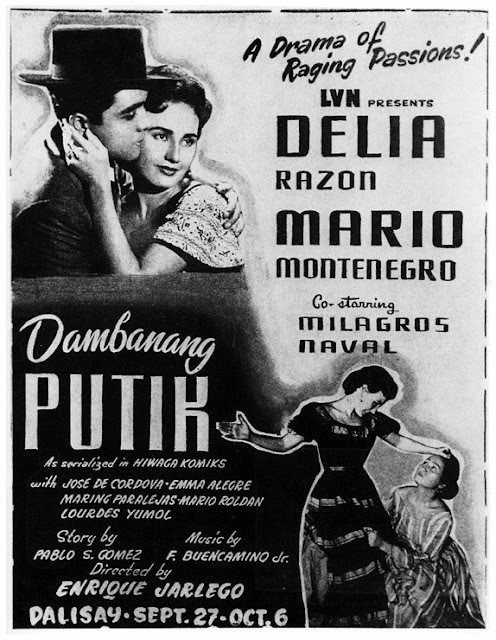 Not long afterwards, she also chose for him a screen name--- Mario Montenegro--- which he has since formally taken as his legal name. 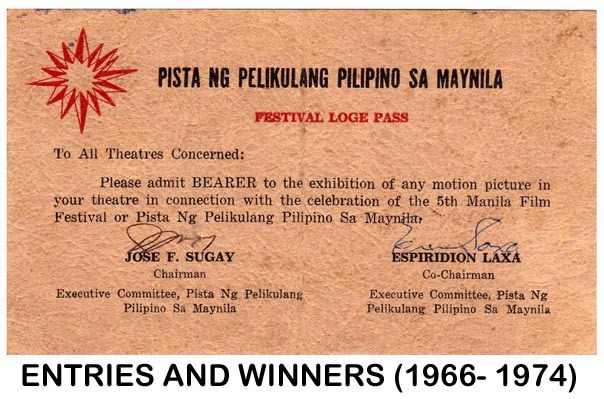 Their love team was a huge box-office draw and their movies a sure hits at the box office. 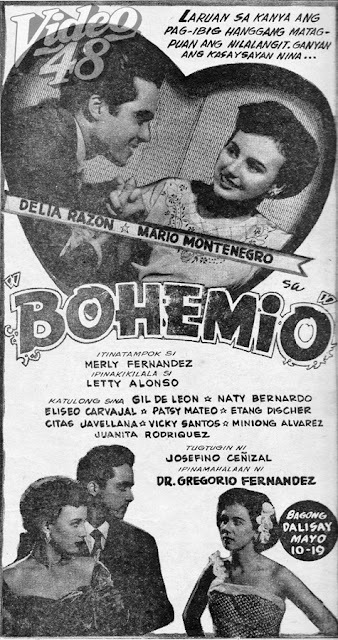 The fans of Mario and Delia hoped not only for their idols to fall in love but also to get married. 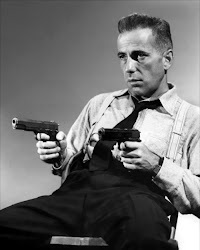 But that was not to be. 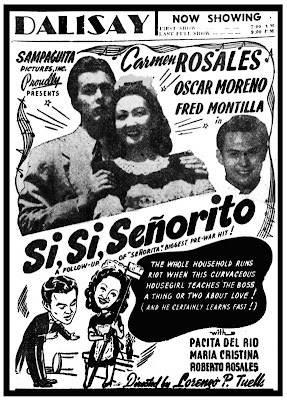 Mario fell in love and married another LVN star, Letty Alonzo. 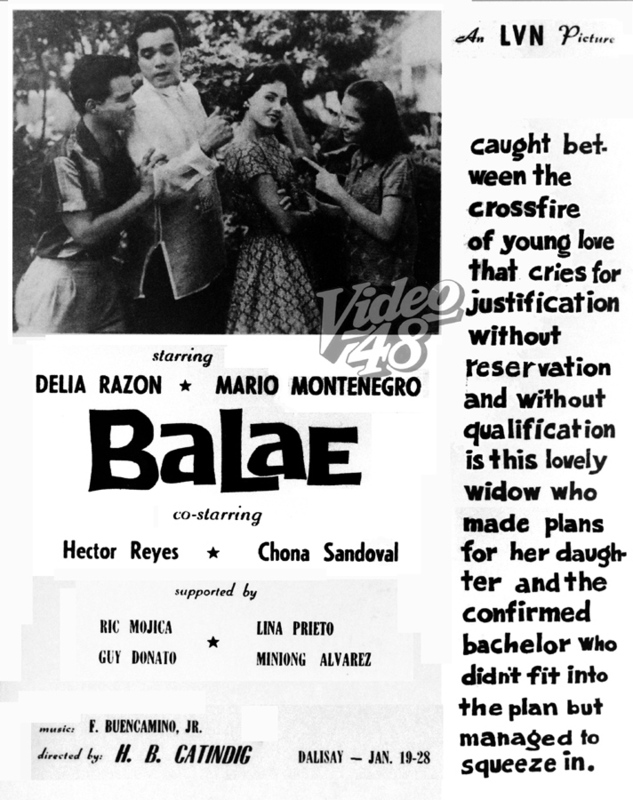 Delia, on the other hand, chose to marry Rely Reyes, who was not in anyway connected with showbiz. 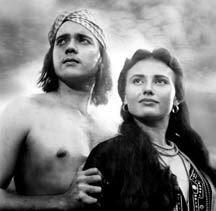 April 22 was Earth Day. 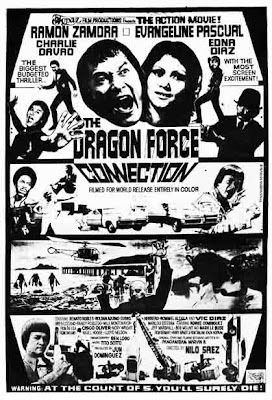 It was designated by the United Nations for the whole world to try to save the Earth. Al Gore's prize-winning documentary on global warming, An Inconvenient Truth, tells about the climate crisis that threatens life on earth. 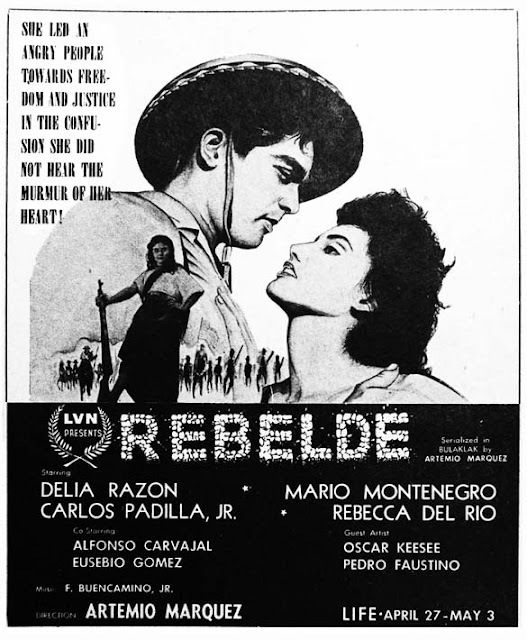 Did you know that 47 years ago the great Manuel Conde did a movie that deals on environmental problem? 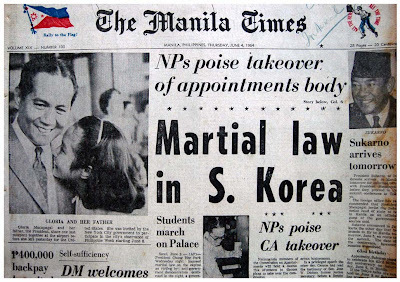 Yes, Conde saw that problem which we are facing right now. 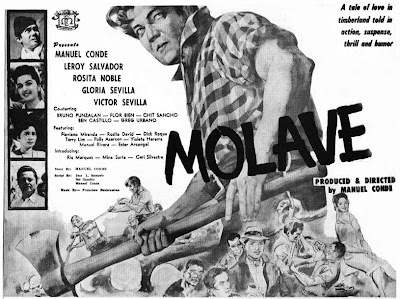 The movie, Molave (1961) was considered the first tagalog movie that focuses on the issue of forest denudation and the clamor for its preservation and conservation. 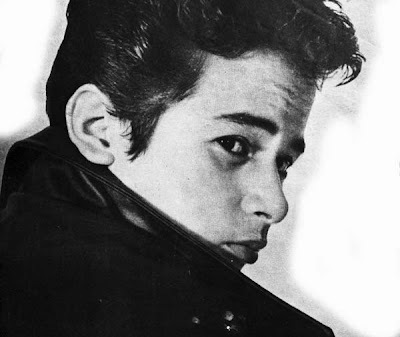 Lou Salvador Jr., known as The James Dean of the Philippines, died of lung cancer at the age of 66 (born on Dec. 4, 1941) at 9:40 last Saturday morning, April 19, in Las Vegas, Nevada, where he had been staying for more than 25 years after he retired from showbiz. 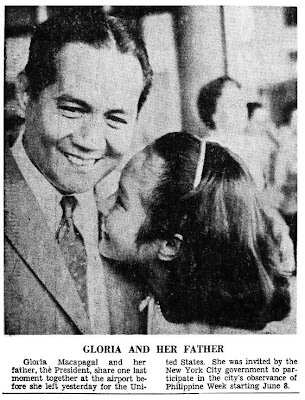 He is survived by his second wife Carol and his children (including twins) with his ex-wife Guinevieve Poe, younger sister of FPJ. 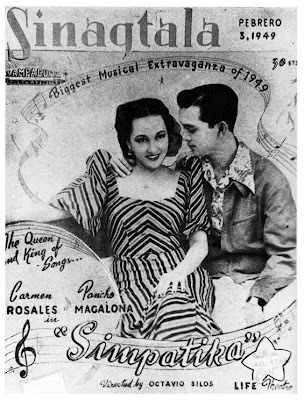 Nicknamed Jojo, Lou Jr. was one of the estimated 40 children of the original master showman Lou Salvador Sr. a.k.a. 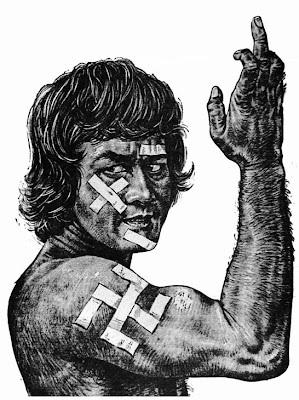 Van Ludor. 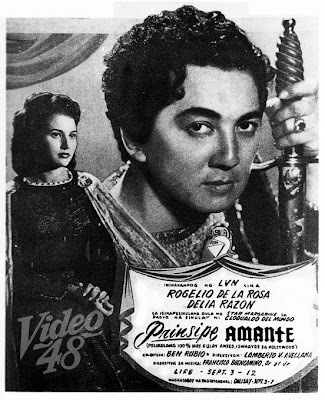 Jojo was the eldest among three siblings by the same mother: Ding and Rosauro (Ross Rival, father of Maja Salvado), both deceased, and former actress Chona Sandoval (Consuelo Salvador). 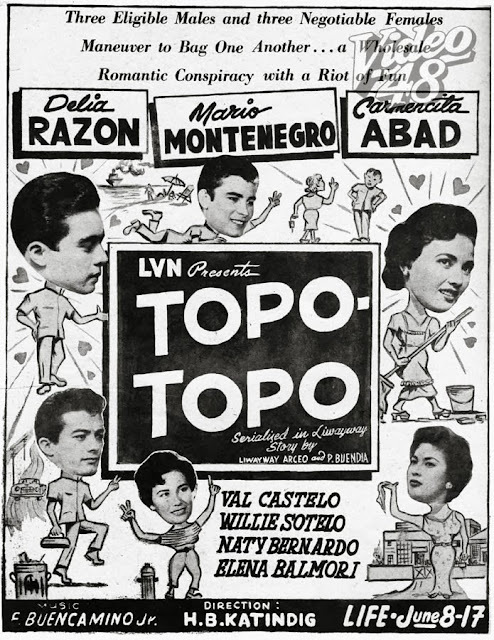 Jojo was the original Bad Boy (title of one of his starrers) of Philippine movies. 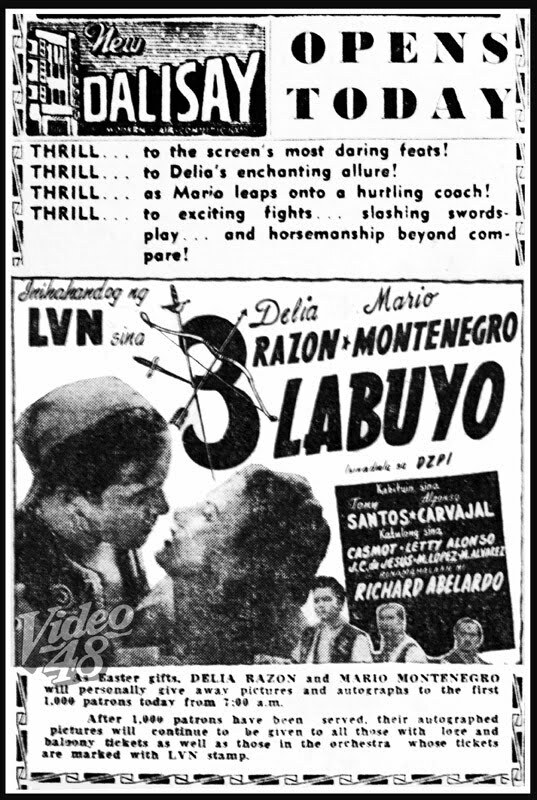 He was among the contract stars of LVN Pictures which built him up as The James Dean of Philippines. Jojo was diagnosed to have lung cancer last year. 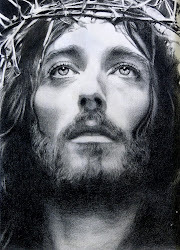 His remains have been cremated. 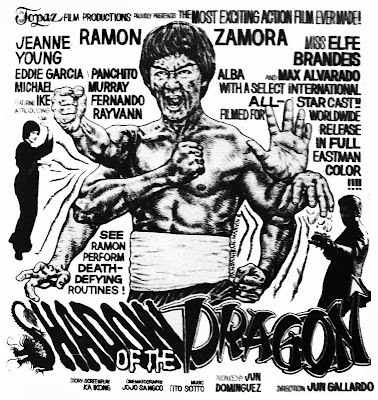 More on Lou Salvador, Jr.
No one can approximate the legendary Bruce Lee in terms of looks and fighting style other than our very own Pinoy Bruce Lee clone, Ramon 'The Dragon' Zamora. 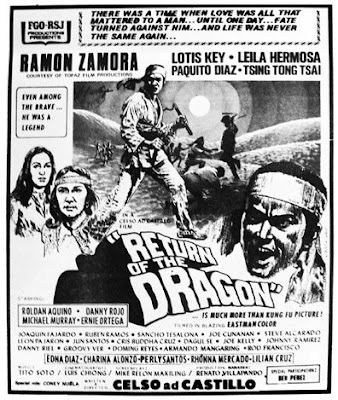 Ramon Zamora started his entertainment career in 1953 as a stuntman and dancer for LVN Pictures. 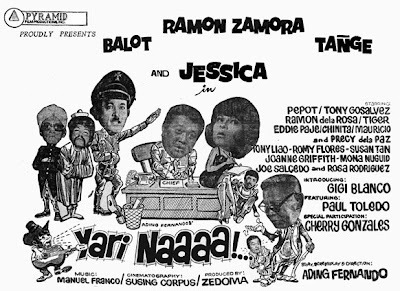 He was given his biggest break in the highly popular TV comedy gag show Super Laff-Inn in the late 60s and early 70s. 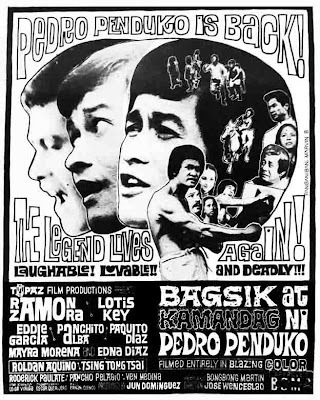 Zamora's most popular stock character in the show was a military-clad figure that bore an unmistakable physical resemblance to Hitler, who spoke in bastardized German and spouted catchphrases such as "Isprakenheit"
Zamora was especially popular for a string of locally-produced martial arts films that emerged following the international success of Bruce Lee. 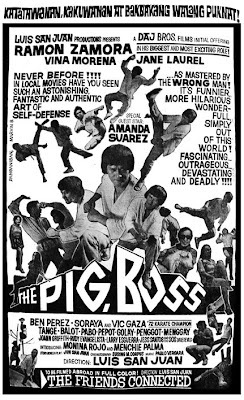 Patterning his film persona around a Bruce Lee-type with a comedic twist, Zamora starred in such films as Pig Boss (1973), The King Plaster (1973) Shadow of the Dragon (1973), , Game of Death (1974) and Return of the Dragon (1974). 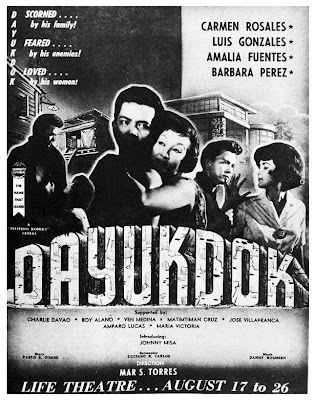 BIDANG BIDA SI MAX ALVARADO!